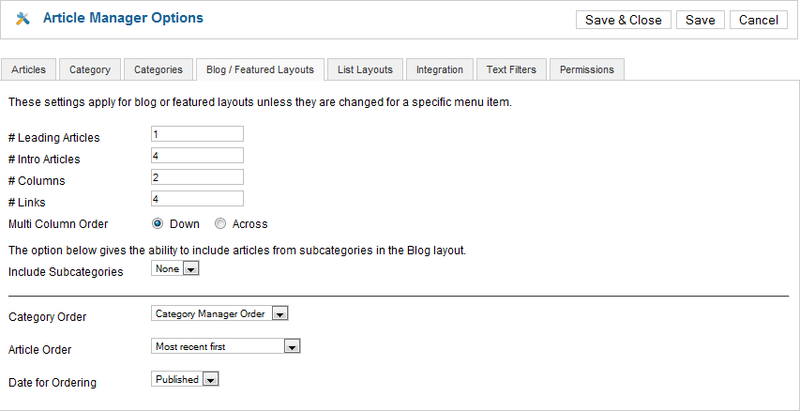 Navigate to Content → Article Manager and click on the Options icon in the Toolbar. 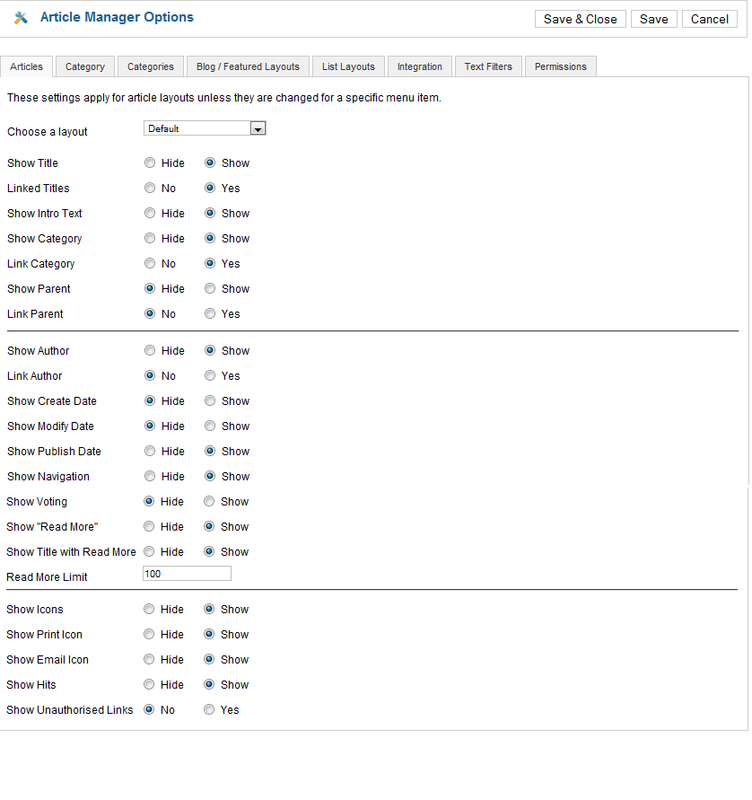 This screen allows you to set global options for the Content (articles) component. 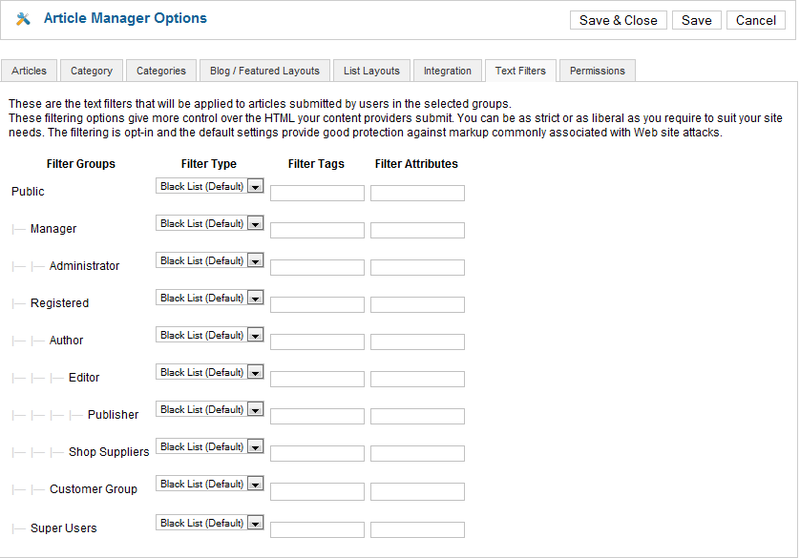 This screen has 8 tabs: Articles, Categories, Category, Blog/Featured Layouts, List Layouts, Integration, Text Filters, and Permissions. Choose a layout. 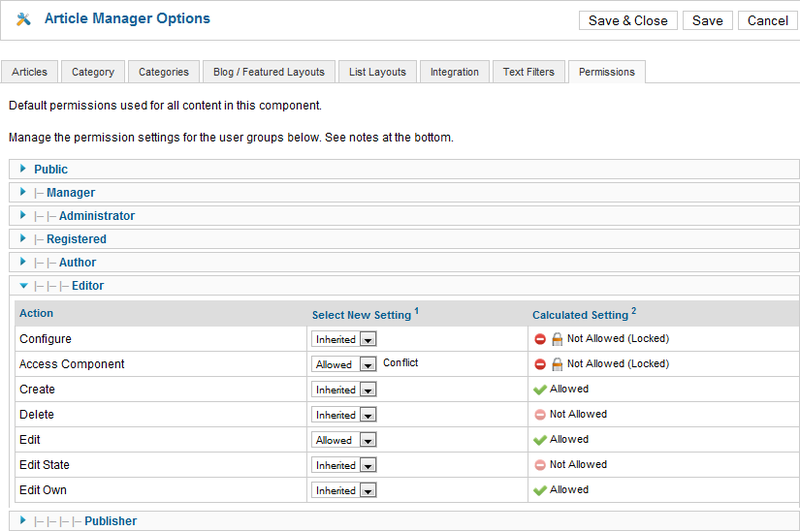 Select a layout to be used as the default layout for this component.